How Pepsi strengthened the bond between Club Bruges and their fans. 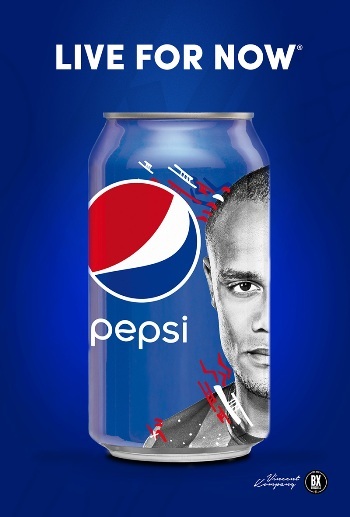 Pepsi has been a sponsor of Club Bruges for several years now. As their partner, they wanted to strengthen the relationship between the fans and the players. That’s why we came up with a unique idea: The Club Bruges Bottle Caps. The Club Bruges Bottle Cap is a universal bottle cap that fits on every Pepsi-bottle. What makes them unique is the Club Bruges-player that is printed on top of the cap. We made 3D-scans of the 17 most famous players and printed them on unique bottle caps. Fans could then collect the Club Bruges Bottle Caps by exchanging 15 Pepsi-caps for a free Bottle Cap in the Club Shop. By getting everyone involved and taking them all along in the making of the Bottle Caps we managed to improve the connection between players and fans.